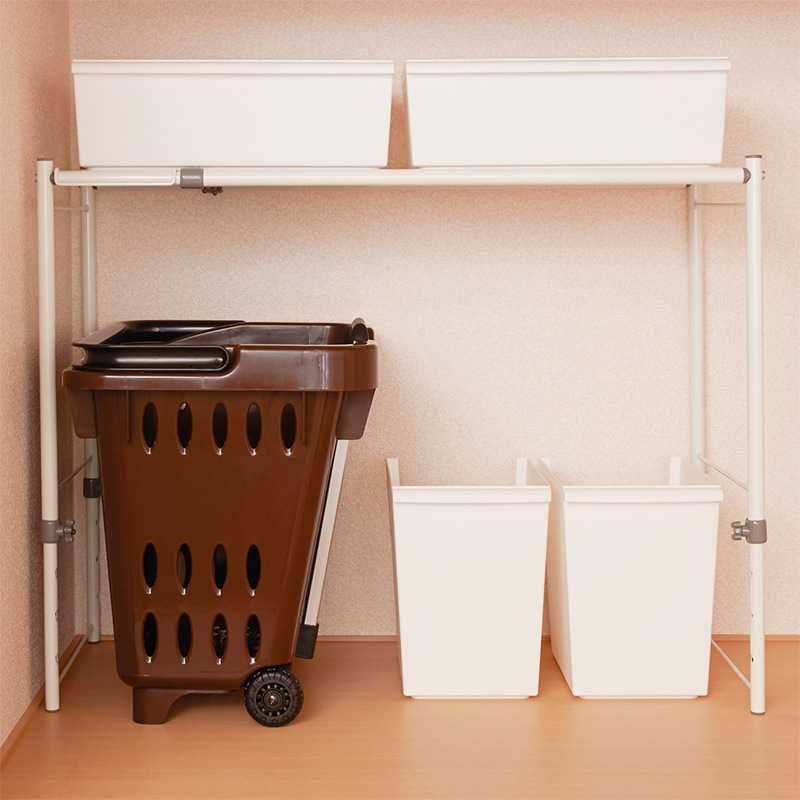 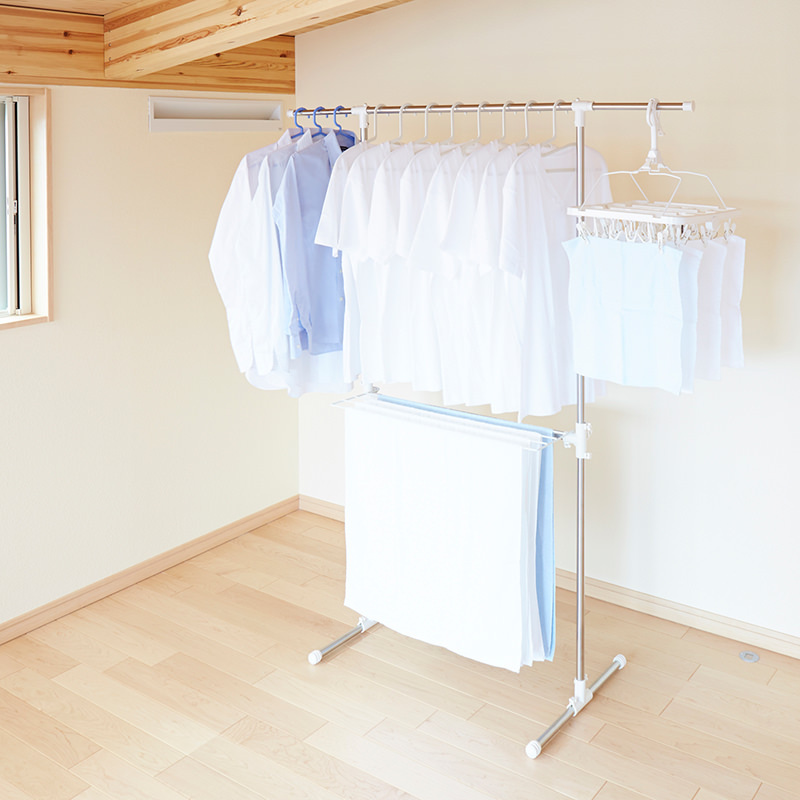 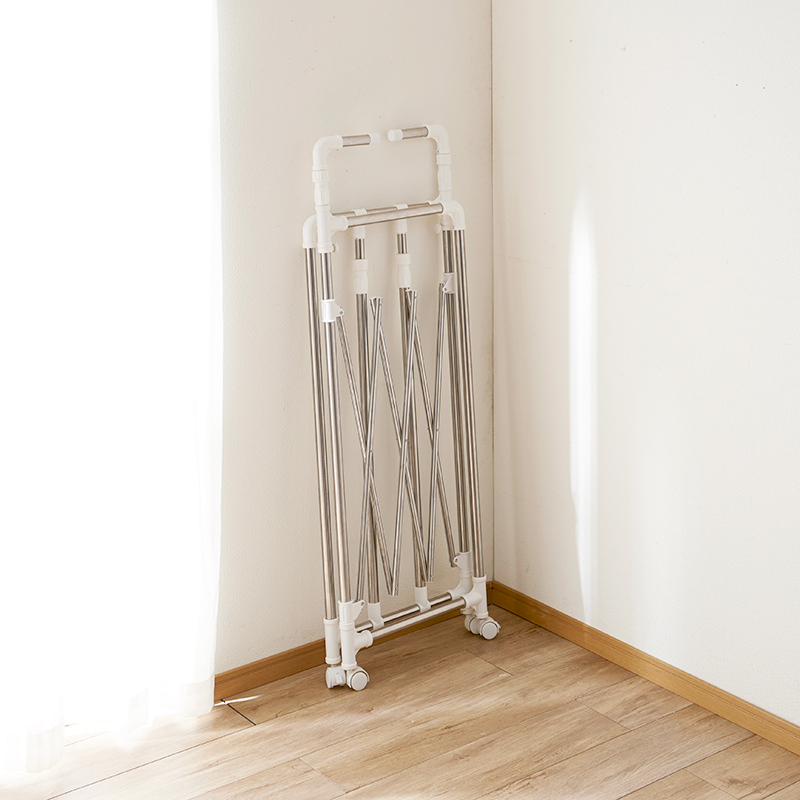 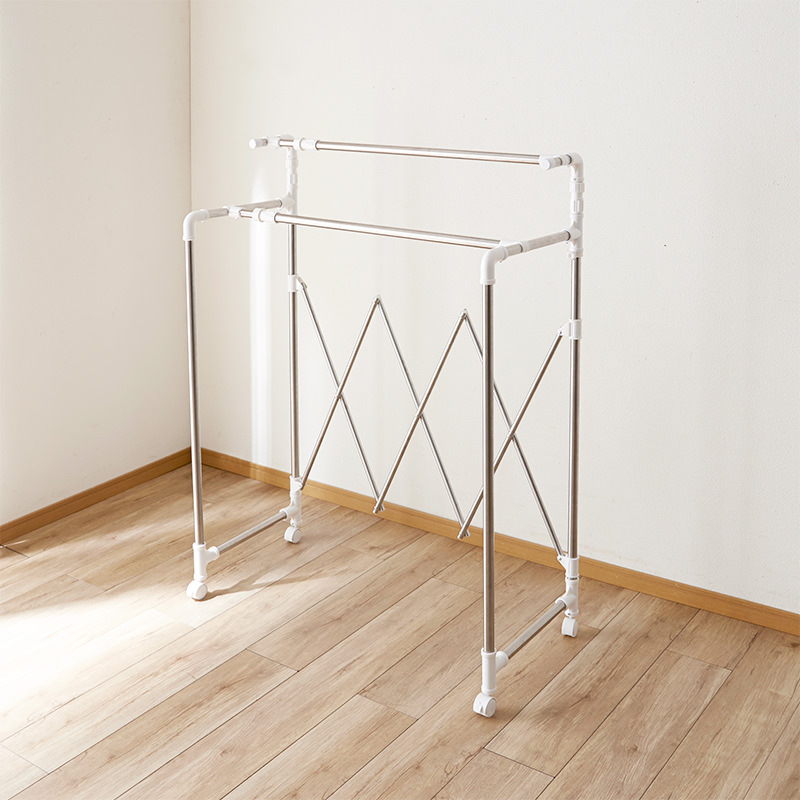 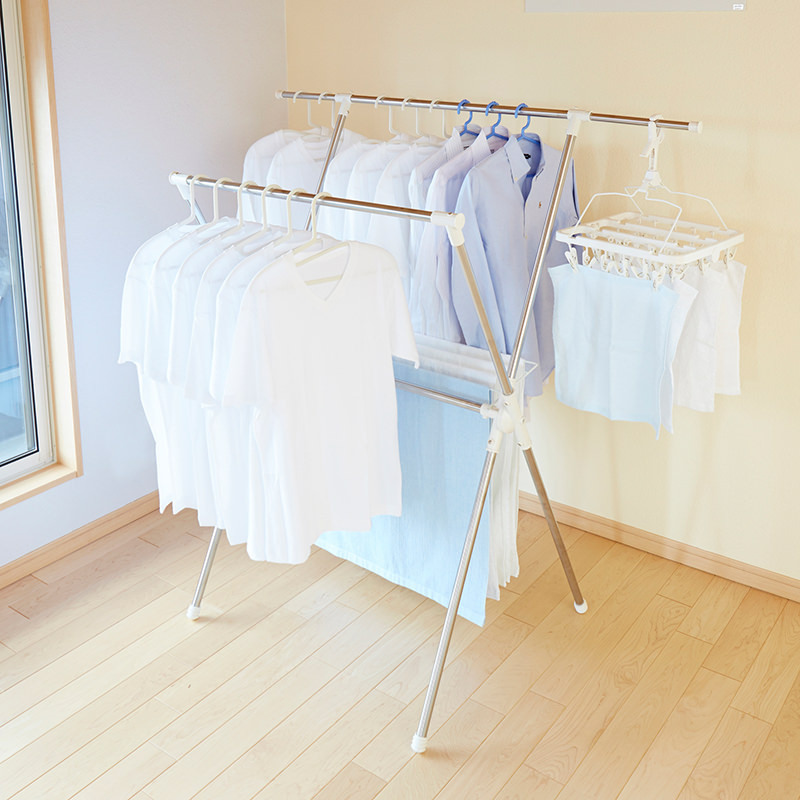 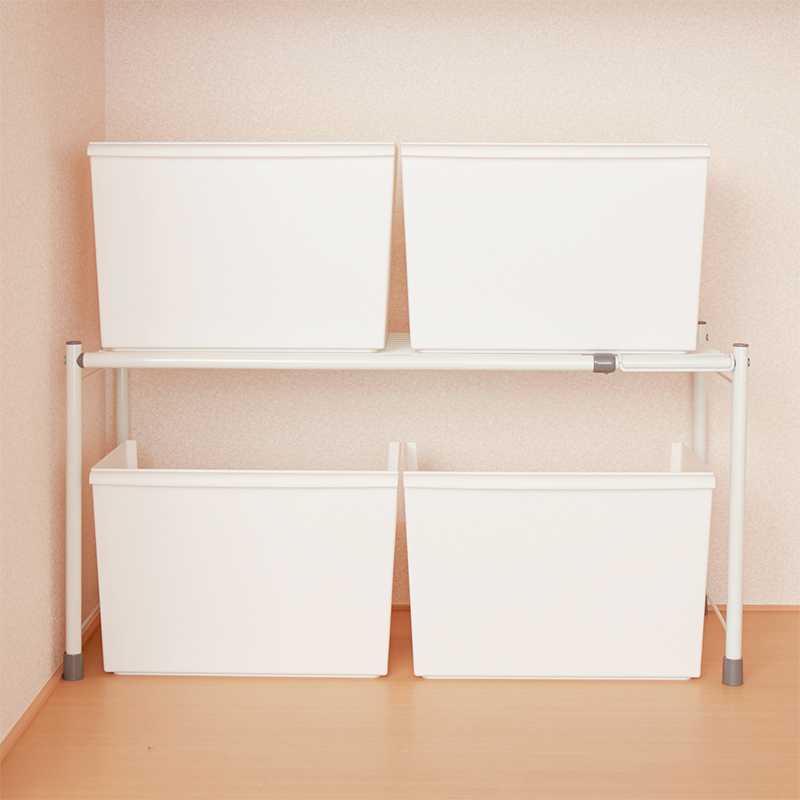 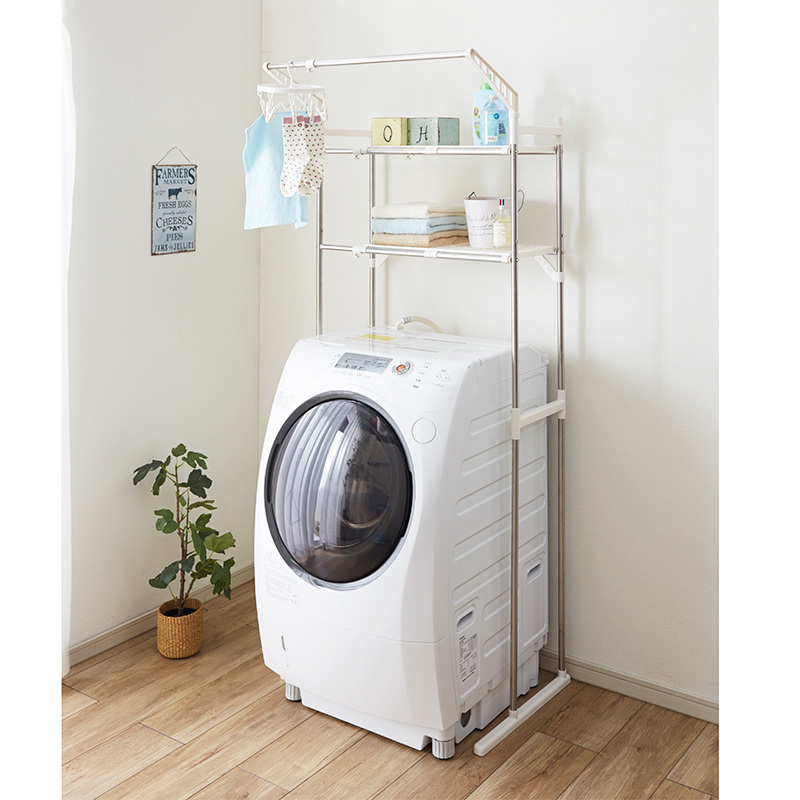 Laundry Stand (Stainless Big-Type) | PRODUCTS | HEIAN – Ingenuity for the better life. 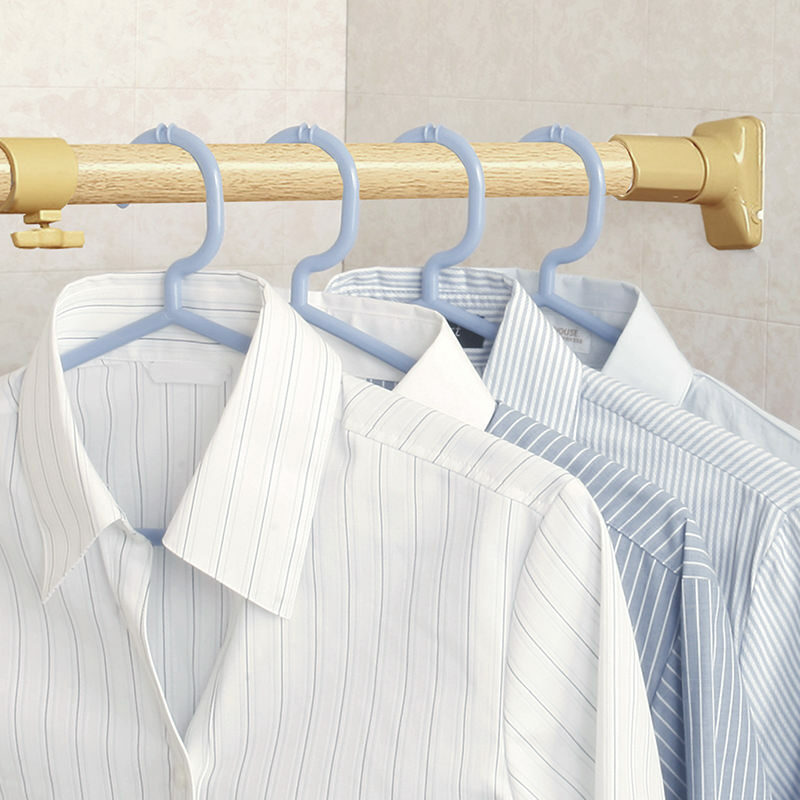 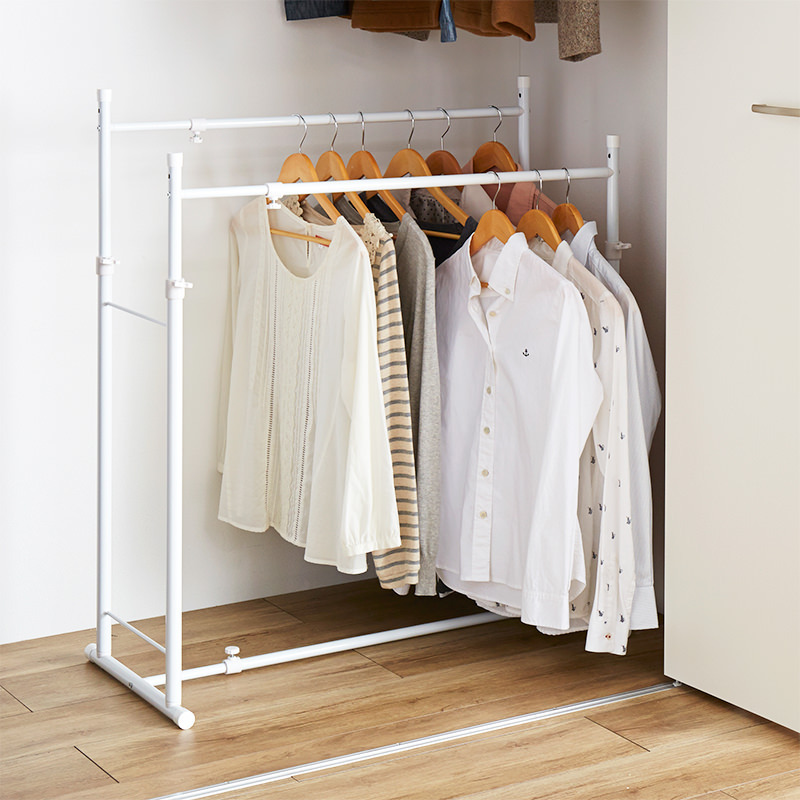 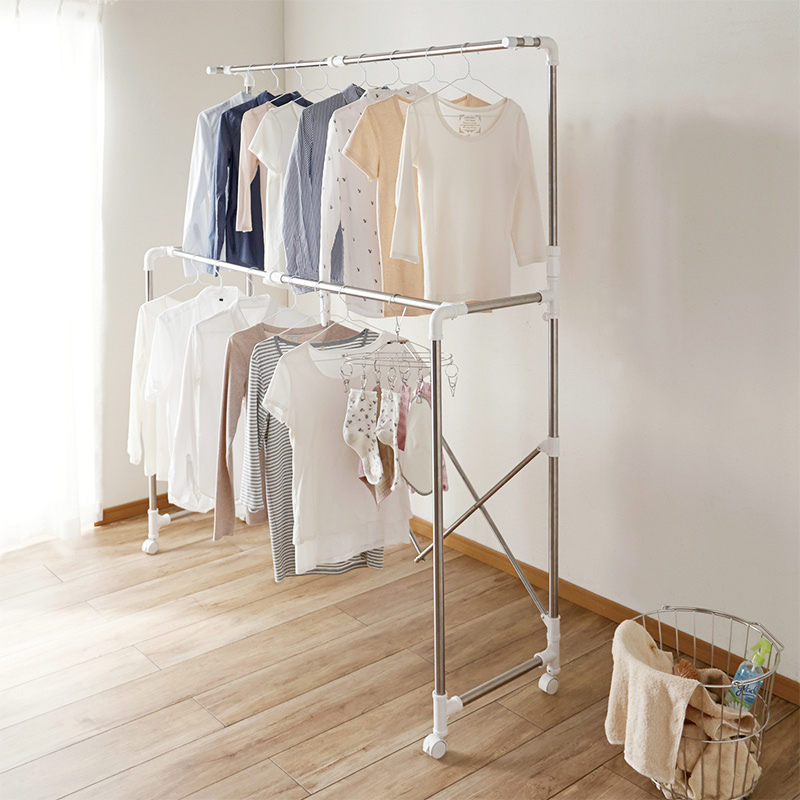 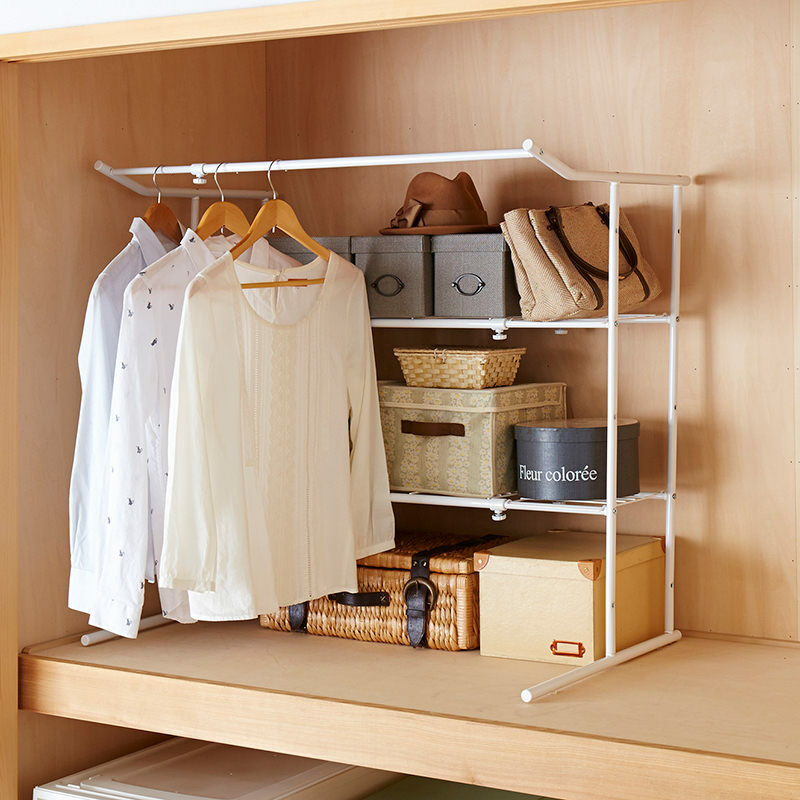 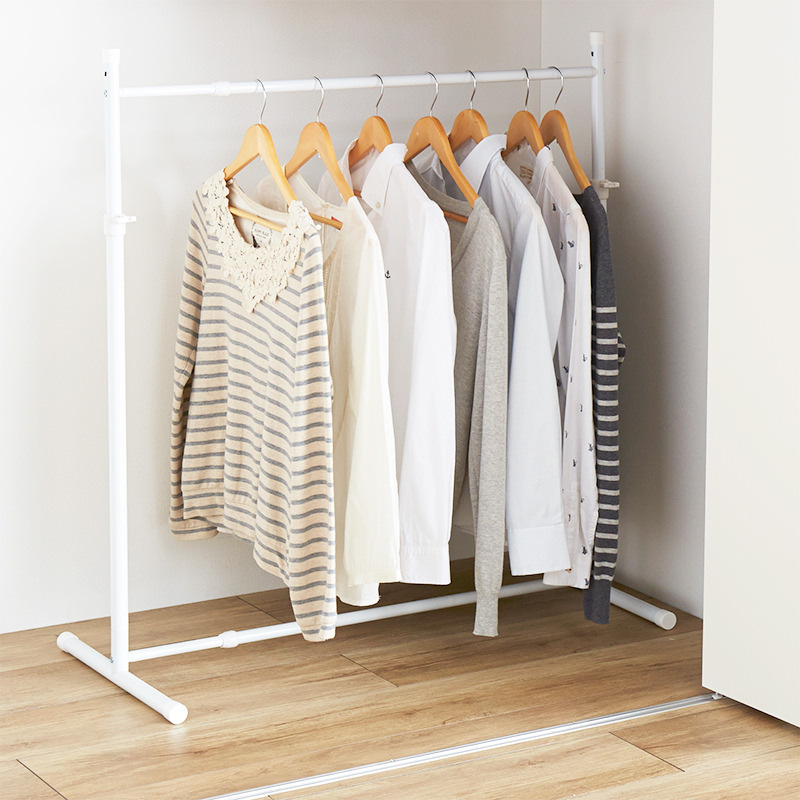 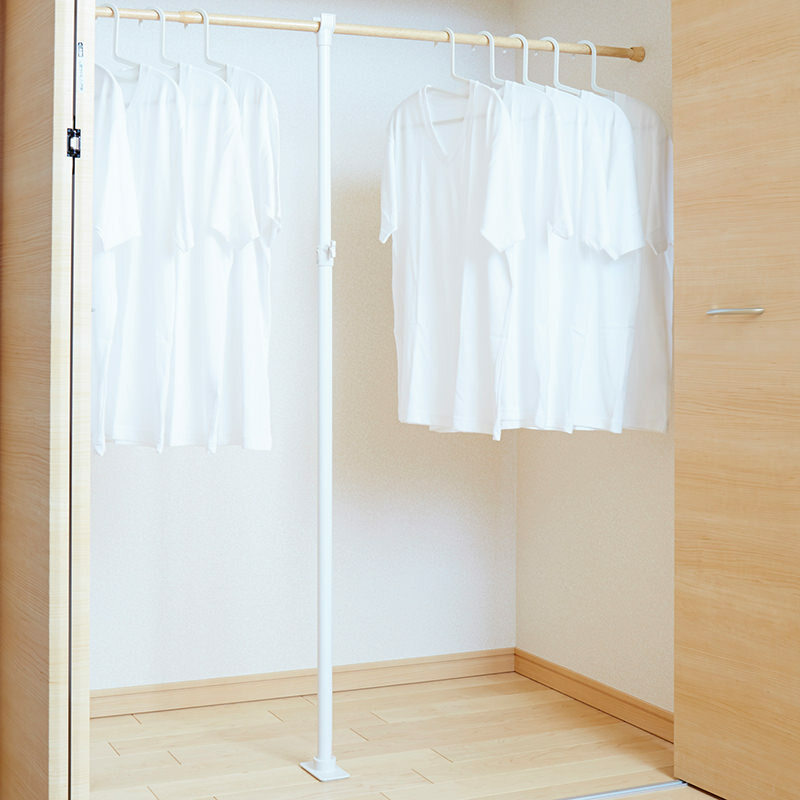 The laundry wide stand is optimal for large families or bedclothes. 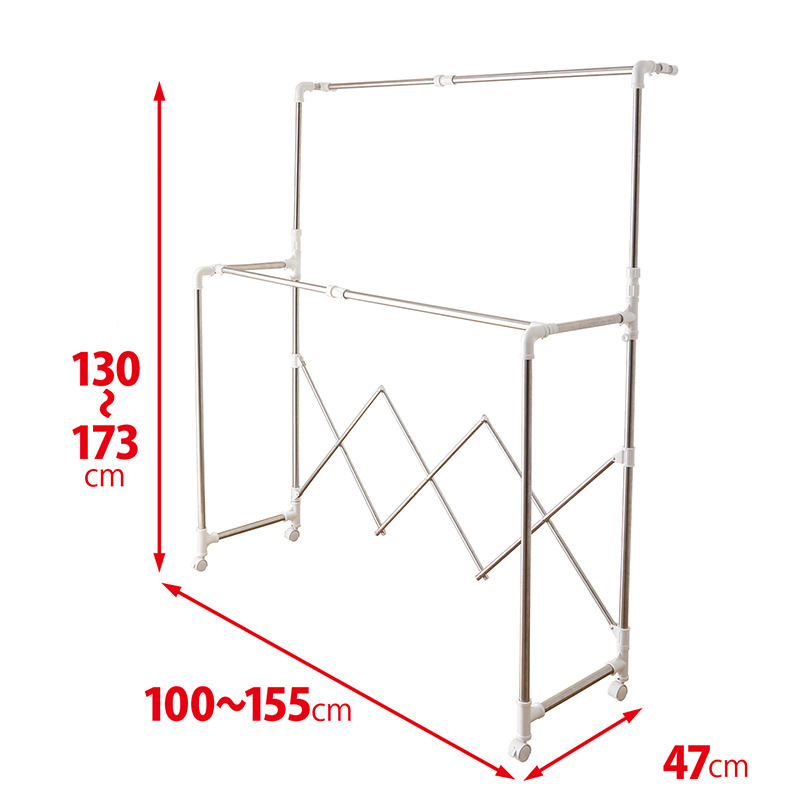 Width and height are stretchable, 110-155cm and 130-173cm respectively.